Westwood, March 22 – Century Capital Partners LLC, a private lender specializing in short-term asset based loans, stepped into a new realm in the commercial real estate market by making a purchase transaction which closed on March 9, 2012. At a purchase price of $1,650,000, Century Capital Partners acquired the property at 10-20 Kinderkamack Road in Westwood, New Jersey from Lou Realty LLC. The property comes complete with a tenant who is already under construction, Rainbow Academy – A Family of Early Learning Centers, which served as part of the draw for Century Capital Partners. Located at the corner of Green Avenue and Kinderkamack Road, the property was the former site of a car dealership. Construction of the newest Rainbow Academy Center is expected to be complete at the end of April 2012, at which time the facility will be open to children and their families in the Bergen County area. Like so many Rainbow Academy Early Learning Centers that have come before it, the Westwood Center will feature the family-centered company’s unique approach to early education and childcare, paired with cutting edge technology such as Interactive Whiteboards in every pre-k and kindergarten classroom to bring traditional learning to life and ParentView® Internet Monitoring to enable parents to stay connected with their children throughout the day. Owned by franchisees, parents, and Bergen county residents, Anthony and Brenda Febbo – this particular facility will continue to serve the needs of the working parents with advanced services including extended hours, exceptional security measures, and enhanced program offerings. The opening of the Westwood Center will mark the fourth Bergen County location for Rainbow Academy – with other centers in Fair Lawn, Rutherford, and Mahwah. In total, Rainbow Academy is currently comprised of eleven centers – employing over 350 team members serving more than 1800 children through eleven centers across New Jersey in Bergen, Hunterdon, Middlesex, Morris, Monmouth and Union counties. 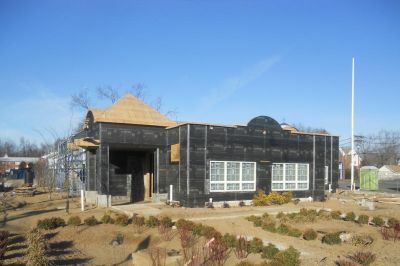 The next Rainbow Academy Center in the pipeline is expected to open Summer 2012 in North Brunswick, New Jersey. Despite the planned growth, existing locations, future locations and the new Westwood location are all firmly founded upon Rainbow Academy’s unique “Circle of Care” approach to childcare, designed to treat the needs of parents as an equally important component as the care and education of their children. Rainbow Academy strives to set itself apart from “cookie cutter” childcare facilities by putting the “care” back in childcare.